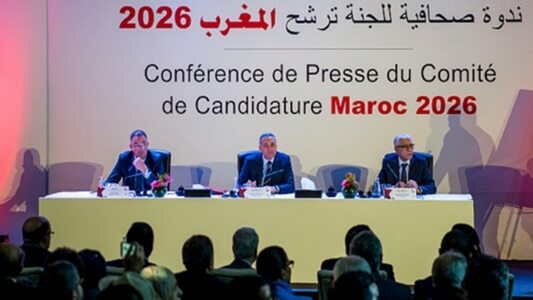 Morocco back out of hosting 2019 Afcon, South Africa or Egypt likely to organise the tournament - The Maghreb Times ! Morocco have decided against hosting the 2019 Africa Cup of Nations (Afcon), the country’s Sports Minister Rachid Talbi Alami has said. Without stating reasons, Alami said, “Morocco does not intend to run for the 2019 Africa Cup of Nations and will not do so,” Alami told AFP. This comes after initial hosts Cameroon were stripped of the rights to stage the tournament by Caf due to ill-preparedness. The decision by Morocco not to submit their candidature leaves either South Africa or Egypt the most likely to host the tournament after both countries expressed interest but are yet to officially file their bids with Caf. Caf has set December 14 as the deadline for prospective hosts to submit their bids. Egypt had earlier on said that they will not bid to host the 2019 Afcon if another North African country is interested. Now with Morocco out of the picture, Egypt Sports Minister Ashraf Sobhi said they will throw their hat in the ring to stage the expanded 24-team tournament. “Egypt is able to organize the competition and we would be proud to do so,” Sobhi said. Caf is expected to announce the successful candidate on January 9.